The PLA vessel HOOKNESS in the docks. 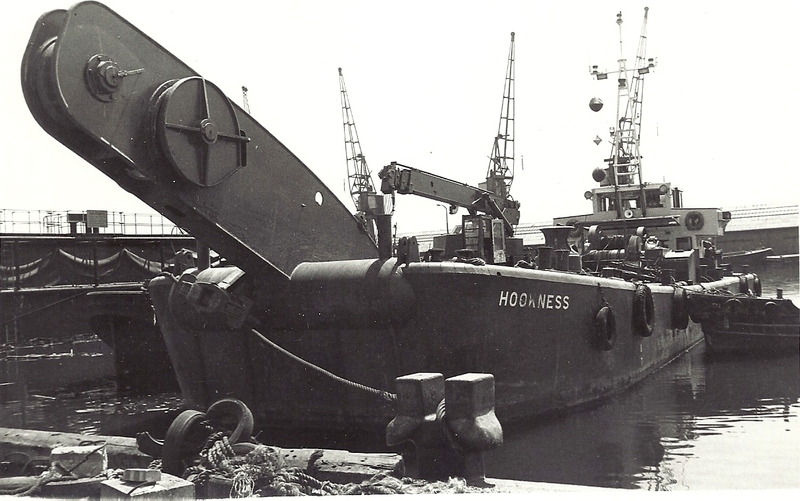 HOOKNESS was one of two salvage and mooring vessels built by James W Cook, Wivenhoe, during 1968-69 for the Port of London Authority. This vessel and her sister, CROSSNESS, were seen quite often in Tilbury docks or not far away on the river. In 2012 the PLA announced that it intended building a new vessel to replace these two, and HOOKNESS and CROSSNESS were put up for sale. CROSSNESS has already gone and at the beginning of the year was seen at a shipyard in the Southampton area. HOOKNESS is expected to leave PLA service this year.